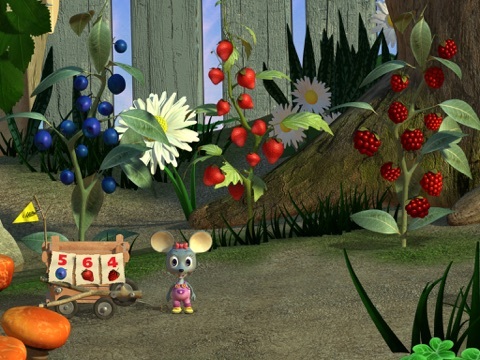 Helpful Mia Mouse is out and about running errands to help her friends. At each stop, players can help her load her cart with items needed for the General Store. Young children can practice readiness skills including counting, following directions, finding which item does not belong with the group and more. 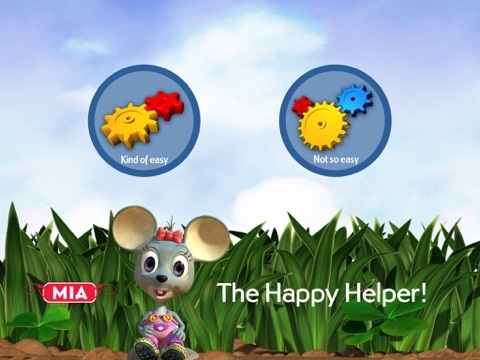 Mia-The Happy Helper is a high quality app for young children. It is intuitive to use and the narrator gives clear directions and corrections when needed. The illustrations are colorful and well-drawn, in a style that many will have seen in other media. The animations and sound effects add interest as well as support the story nicely. Mia-The Happy Helper has an in-app purchase that becomes available partway through the game. The purchase more than doubles the available content, and adds skills such as beginning phonics and logical reasoning to the game. With or without the extra purchase, this app offers a pleasant and positive learning experience for preschool children. Mia-The Happy Helper is a fun app that children will enjoy playing again and again. 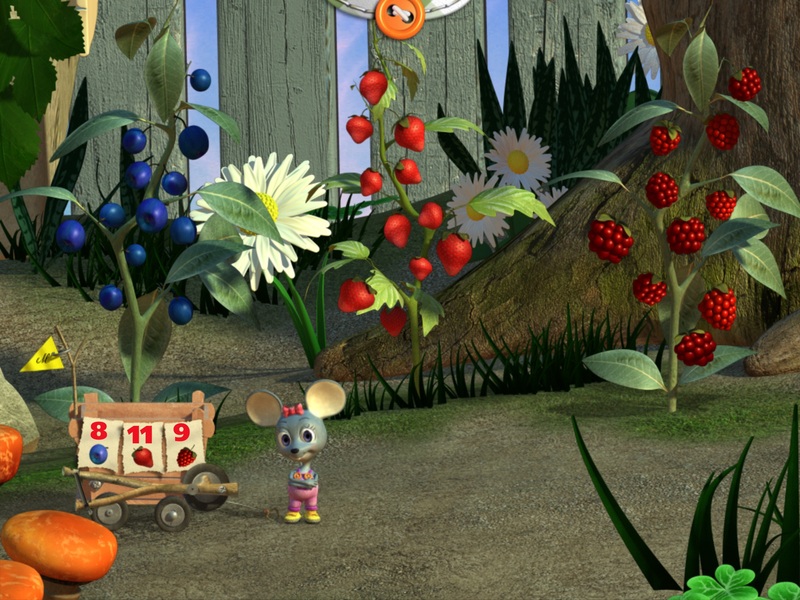 The main character is Mia the Mouse. The narrator gently draws children into the story by having them “help Mia” take her cart from one scene to the next, which really helps engage players. When a task is successfully completed, Mia drums her feet and does a little dance because she is so excited. I do wish that the routine varied from time to time, though. It’s a cute sequence, but after several repetitions, it’s not nearly so interesting. The in-app purchase adds some content that is not commonplace in other apps for this age group. It’s refreshing to see activities built around finding hidden objects, for example, and those based on eye-hand coordination. Each task, both in the free version and in the purchased one, is presented in a unique way, as well. For example, the purchased content includes a matching exercise where players must drag objects to their initial sounds. 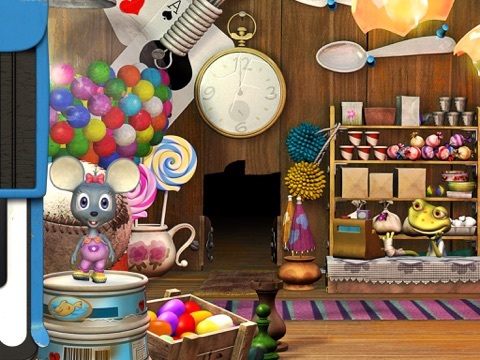 However, instead of simply placing these items on the screen or dropping them from the top of the scene, the developers chose to theme the task around a snow globe. The items to match are inside the globe, surrounded by the falling snow. This app is free in the App Store. A complete version of the game is available without any purchases. In other words, the game does not drop off without a satisfying ending. Everyone can finish, no matter what, and that is a huge plus. Partway through the game, players are prompted to get an adult to purchase the additional content or to continue playing on their own. The one-time in-app purchase costs $2.99. It more than doubles the available content and adds several additional scenes to the game, including several that help children begin to learn about letters and sounds. It’s a worthwhile purchase, but even if you stick to the free content, the app has a lot to offer. This app is very child-friendly. There is an effective parent gate protecting links to social media, email, the developer’s website, and so forth. The in-app purchase is also protected by the same parent gate, but it would be better if the reminder did not interrupt the children’s game.